Baby shower will make everyone have fun and an unforgettable thing, especially for mothers to-be. A baby shower theme will allow the host to plan the decorations, food, favors, invitations and games. 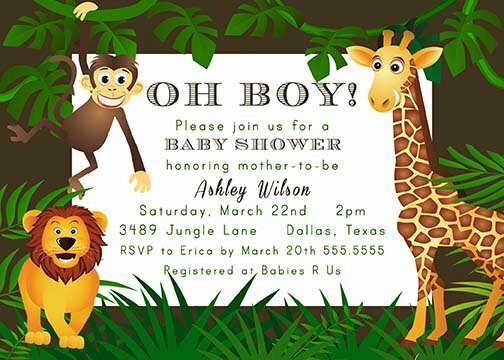 A jungle theme would work well for a boy, girl or surprise. But the jungle theme is more often used for baby boys. 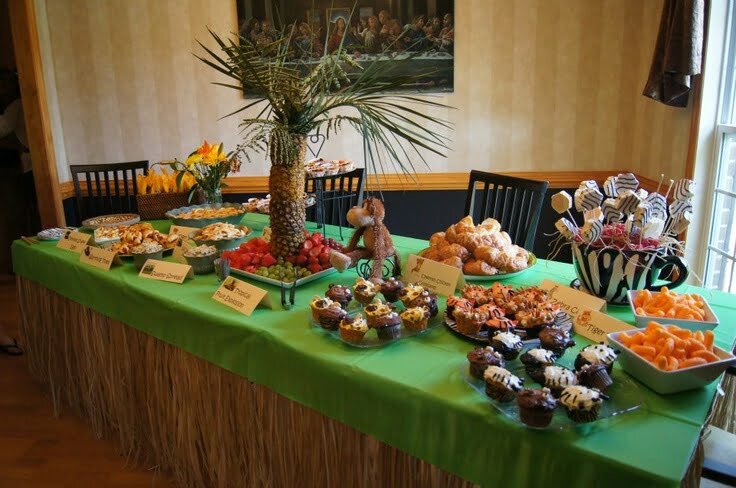 If the nursery uses a jungle theme, this will encourage you to start planning a great party. Start with decorations. Maybe you will have a baby shower outdoors, this will allow you to create decorations such as forests and nature. Add lots of green shrubs and trees can you get with your hands. Tiki torches also be another option which will be very useful for outdoor decorating. Hanging some animals monkeys and parrots in the trees. You can also use stuffed animals such as lions, giraffes, boas and monkeys to decorate the table food and other open spaces. Bath salt in a jar will make a great favor for your baby shower. Tie ribbon animal print, zebra or cheetah print around the tube. A thank you card can be attached to the ribbon. You can give a stuffed animal to take home by guests. If it is too mature, you can try jungle animal shaped soap. You can make your own or buy favors in specialized stores soap. Animal crackers and bread monkey is a very clear choice. Place an exotic fruit platter and serve drinks in coconut perforated, complete with umbrella. Make your own juice by using green fruit punch and add pop rock, this will create a bubble like in the swamp :D.
Serving cupcake with display forest animal pictures or ring. And a large cake decorated with baby jungle animals will work very well.